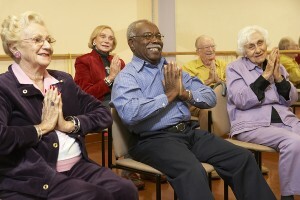 Yoga-To-You is where east meets west philosophically and in practice, merging yogic techniques for older adults: this includes breath work, postures, kriyas (sets of exercises), and meditation. Chair Yoga is therapeutic therapy that moves the body toward homeostasis and balance, tailoring each session to your specific needs. Through our sessions, you will increase self-awareness and move beyond deep seated patterns that we often hold within our bodies. Chair yoga provides wonderful tools to help older adults cope with the increasing challenges and demands of the world, as we age. Chair yoga is appropriate for depression, anxiety, grief/loss, anger, stress, self-esteem, physical health issues, sleeping problems, weight problems, emotional and physical trauma and more. Prior Yoga experience is not required. Yoga-To-You is for those seeking an old traditional approach to health and healing. Many of our clients are struggling with the meaning of life, trying to stay strong, live longer, may be encountering depression, grief, loss, or may be working with addiction, overcoming trauma, or battling health issues. Our work together can tune and attune the self so that you have the strength to face the challenges within and around you with clarity and equanimity. Chair yoga offered by Yoga-To-You is most appropriate for individuals already seeing a health/medical professional. Yoga-To-You sessions can provide your client with additional tools for physical and mental health wellness. If emotions do arise, our training provides a safe and therapeutic environment to address your client’s immediate needs.